No matter your hair color we have the expertise to keep your hair healthy and looking great. Everything about Shelley’s Hair Salon and Color Studio has been built upon making you look beautiful. Our team of hair stylists are passionate about what they do and we are so excited to serve your needs. Tired of the same look and want to do something about it. Hair design is about knowing the hair design elements and principles that will enhance your natural beauty and personality. At Shelley’s Hair Salon our hairstylists are ready to give you a thorough consultation and to give you the style you always wanted. When you consider which hair salon to visit, there are many factors that go into making that decision. You want someone that takes their time in learning your hair type and listening to what you want to change, someone who will give you your money’s worth and draw you back again when it’s time for your next cut or color. At Shelley’s Hair Salon, we know how vital it is to our customers that we take the time to listen to what they want so that we can yield the greatest results. Although we enjoy interacting and conversing with our clients, Shelley’s Hair Salon is a professional environment where you will find very talented and focused stylists who are responsible for creating some of the trendiest cuts in the Killeen area. Our expertise and eye for beauty are the perfect combination for meeting any new hair challenge with success. If it’s a brand new color and specific style that you want, this is the hair salon to make that vision in your head or that image in a magazine a true reality for you! 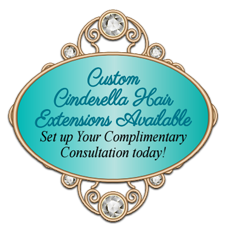 Give us a call today to learn more about all of the salon services that we have to offer!